I (as you do) recently typed the word ‘connection’ into my computer’s thesaurus. Amongst the alternatives it returned were: joining, linking, fitting together, piecing together, association, relationship, context, and union. It struck methat these are some of the fundamental benefits of good hearing. Different people of course have different priorities on the way they make the connections that are important to them. Audiologically, this is where the hearing needs assessment fits. 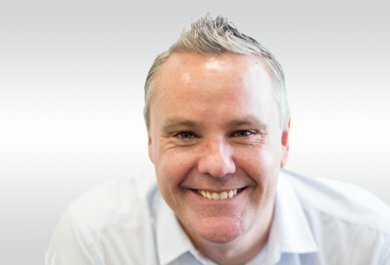 This fundamental step helps identify what’s important for each unique client. For some, the most important way to connect may be hearing well in noisy bars and restaurants, for others it may be hearing grandchildren at family gatherings, and for others it may be the ability to communicate easily on the phone (I’m picturing Grant, the real estate agent who helped us sell our last house – he was constantly on his mobile phone!). Cosmetics may also be important. A broad portfolio of solutions is needed to help meet these diverse needs. At recent events with hearing care professionals (HCPs) we asked them (n=69) what was generally most important for their clients to connect with the hearing world and people around them. Fig 1. HCP responses to Q1: What is generally the most important for your clients? Results are shown in Figure 1 and, consistent with the diverse needs of those with hearing loss, indicate a range of responses. 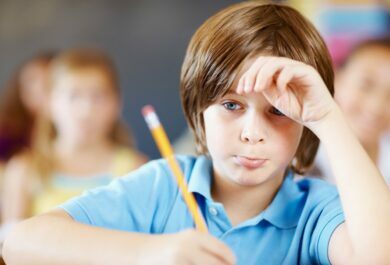 Of the 4 responses available, perhaps unsurprisingly, the vast majority of HCPs reported that the most important way their clients want to connect with others is by hearing speech better in noisy situations. Features such as StereoZoom1, 2 that filter out more background noise are optimal to meet these needs, and only made possible by wireless transmission like Phonak’s Binaural VoiceStream Technology (BVST). And for signals originating farther afield, the benefits of Roger3 are undisputed. The HCPs rated ‘ease of use’ as the next most important quality their clients are looking for. 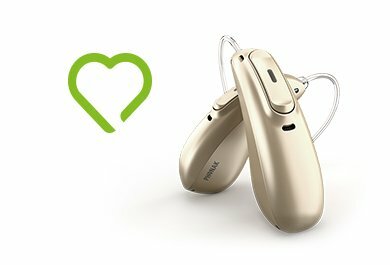 Phonak’s broadest rechargeable hearing aid portfolio that delivers 24 hours of hearing from a quick 3 hour charge4 is optimal for this, and contain BVST, so help address these two top needs. 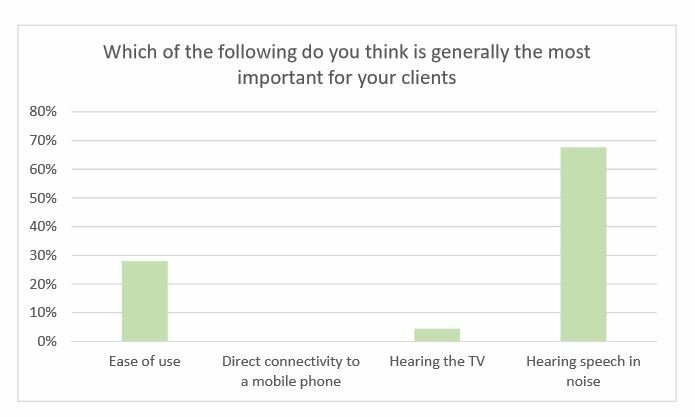 Interestingly, no HCPs in our cohort selected ‘direct connectivity to mobile phone’ as the MOST important need for their clients (Figure 1). That’s not to say it isn’t a need, and when we asked the HCPs what is important for clients who do have direct connectivity as a higher priority – ‘hands free phone calls’ was the most important, followed by ‘app-based remote control’, followed by a ‘convenient audio solution for TV’ (Figure 2). Fig 2. HCP responses to Q1: What is generally the most important for your clients? ‘Streaming music on the go’ was reported as being less important for the majority of their clients. These reports are similar to the findings of an online survey conducted by Phonak in 20175 asking nearly 1000 people (all 40+ years of age with hearing loss) what would be important for them in terms of direct connectivity. Survey results showed ‘direct phone connectivity’ was most important, and ‘direct with hands-free’ was found to be a key driver. Also, ‘streaming music on the go’ was found not to be a key need within this group. 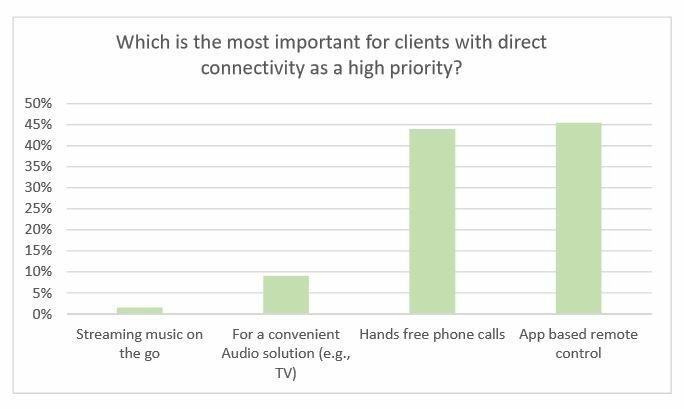 While our HCPs reported an ‘app-based remote control’ as the next most important functionality their clients are looking for (Fig 2), the Phonak survey showed ‘TV/stereo streaming’ filling that spot. Audéo B-Direct was specifically designed to meet all of these priority direct connectivity needs: Not only direct phone connectivity – but direct connectivity to any mobile phone6, true hands-free calls via the ‘Own Voice Pick Up’ feature, connectivity to the TV connector for direct TV/stereo experience and the remote app for client control. 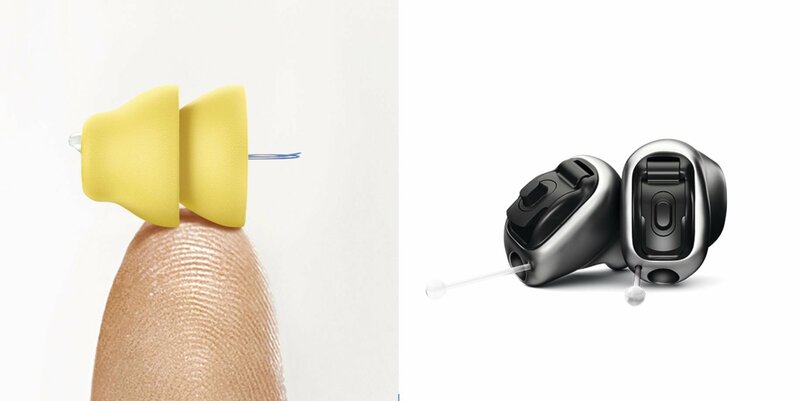 Fig 3a (left)– Phonak Lyric, the world’s only 100% invisible hearing solution. 3b (right) – Virto B-Titanium – Phonak’s smallest custom product ever! And for those where cosmetics are high on the priority hit parade, Phonak Lyric™ – the only extended wear solution – is optimal (Figure 3a). Or for those where a discreet customised solution is required, the Virto B-Titanium fits the bill (Figure 3b). With such a broad portfolio of hearing solutions, there truly is a Phonak solution to ensure every client feels connected! 1 Stuermann, B. (2011) StereoZoom – Improved speech understanding even with open fittings. Phonak Field Study News. 2 Picou, E. M., Aspell., E. & Ricketts, T. A. (2014). Potential benefits and limitations of three types of directional processing in hearing aids. Ear and Hearing, Vol. 35(3): pp 339-352. 3 Thibodeau, L. (2014). Comparison of Speech Recognition with Adaptive Digital and FM Wireless Technology by Listeners who use Hearing Aids. American Journal of Audiology, 23, 201-210. 4 Expected results when fully charged, and up to 80 minutes wireless streaming time. Please refer to www.phonakpro.com/evidence. 5 Source: no. 669 Sonova B2C Segmentation 2017. Well explained about hearing aids and hearing loss. Keep posting, i would really like this blog.